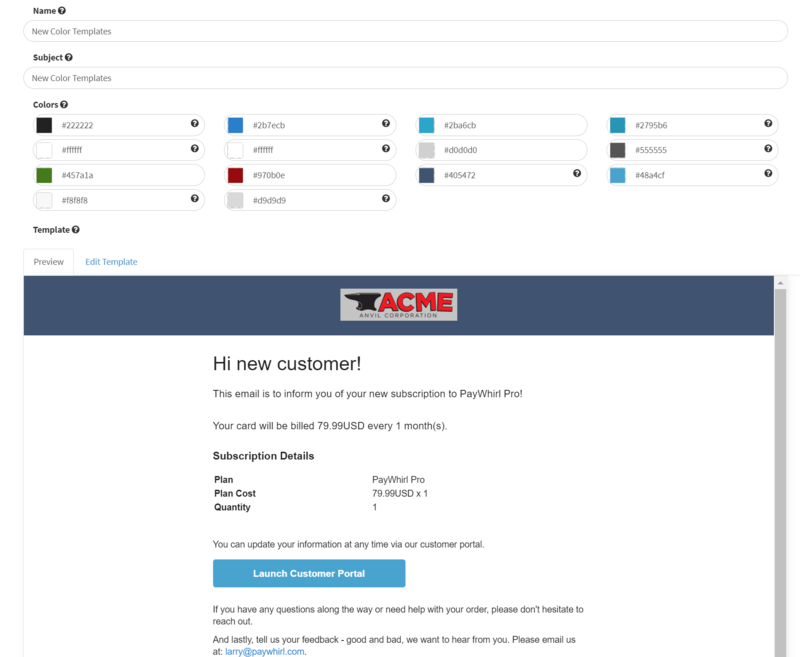 On PayWhirl you have complete control over your emails and templates. We offer some basic pre-built templates that work "out of the box", but we recommend you customize the templates to match your business needs. 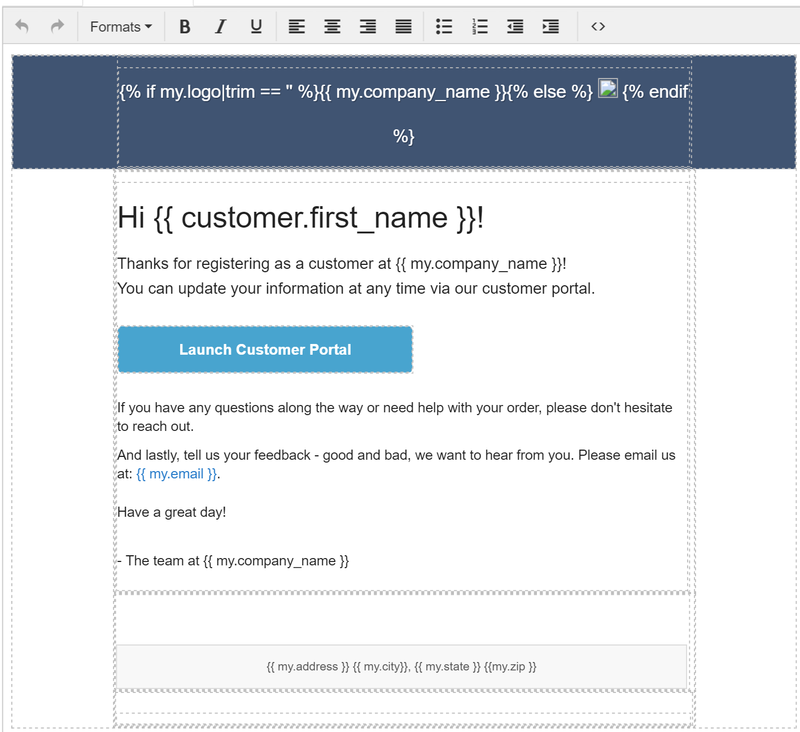 PayWhirl's email template system is built on Twig (which is very similar to other template languages like Shopify's Liquid or BigCommerce's Stencil framework) so you can use logic and data from your customers to tailor the content to your business. 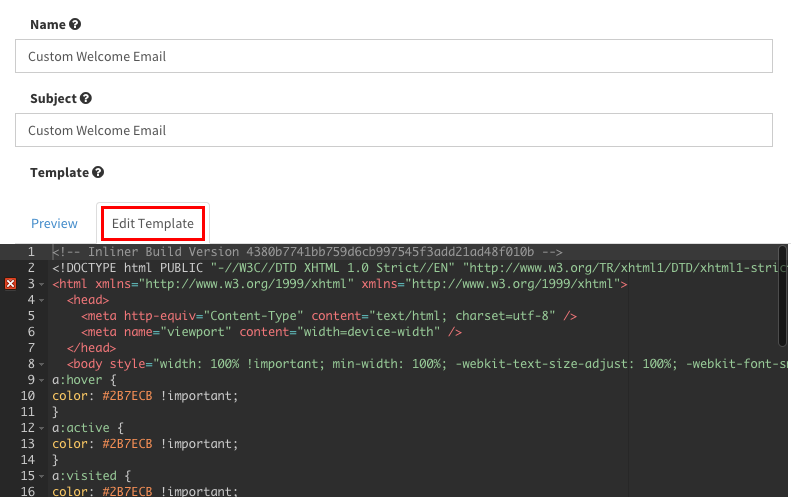 Please see this article for a complete list of email template variables you can use in PayWhirl emails. Notice the logo and basic business info were added automatically. The business info is taken directly from the My Account page. The logo can be added in the Portal Settings page. The colors in the widget can be edited by using the color pickers. You can use this method to edit the text and change the wording but its not recommended to make drastic changes as the editor can "break" the template if you are not very careful. If that happens, or you get stuck and you want to start over, you can always create a new template. 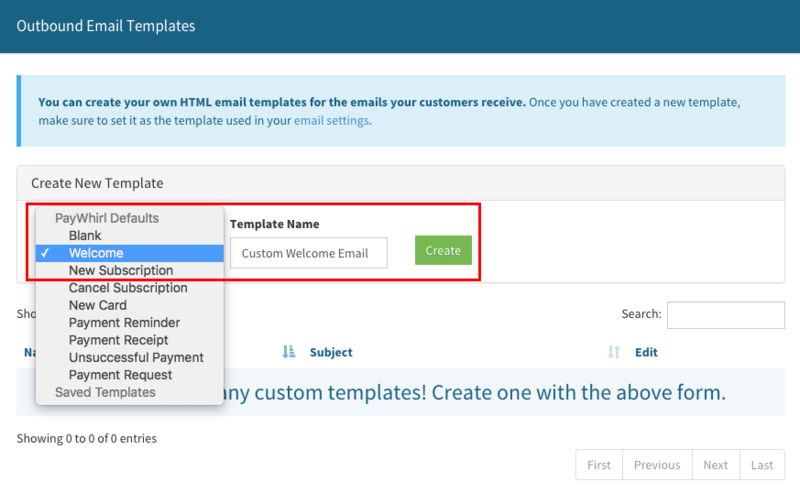 Finally, once you have finished customizing your template(s) don't forget to enable them on the email settings page in your account. 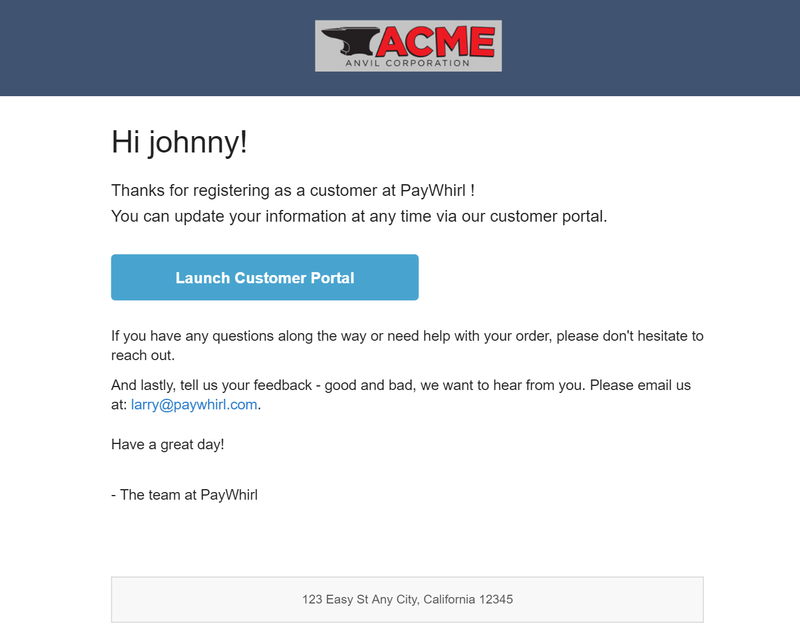 If you have any questions about customizing emails or notifications please let us know.